Local businesses have an overlooked home-court advantage over large retail brands and emerging Web-based competitors because locals are rooted near customers’ houses and/or workplaces. Therefore, local businesses tend to have more frequent, socially rich contact with their customers, which enables them to provide personalized customer experiences. Very few local businesses recognize this advantage and use it to forge more intimate and profitable relationships with customers. This page can serve as your intellectual onramp to changing the rules. Profoundly. “Business intimacy” holds the key to sustainable profit in the digital social world, and it’s grounded in knowing customers’ personal preferences on several levels and giving customers personal customer experiences. This is excellent news for local businesses, but they have unknowingly weakened their local advantage by following business management principles used by powerful brands, which have relatively impersonal customer relationships. Thought leaders, professional education and consultants serve large brands, so they have yet to discover the power of business intimacy as outlined here. Local businesses can use this blind spot to their advantage. Local businesses have a different DNA, but to capitalize on it, they need to learn how to manage differently by developing and leveraging business intimacy with their most profitable customers. Industrial Economy principles have long emphasized scale and efficiency, which are two of the cornerstones of large organization. Small local businesses can run rings around large brands and etailers when they focus on providing personalized customer experience. “Social” information is the currency of business intimacy. Large retail and etail brands have squashed local business with lower prices, wider selection, and longer hours, but their advantages are based in scale and efficiency. Customers worldwide are demanding a more personal experience, and this growing trend plays to local businesses’ strengths. Local businesses have a new way to compete, once they reorient their competitive advantage on superior customer experience, which the big guys can’t deliver easily. Customers are intolerant of inconsiderate employees and poor customer service, and they are vocal about it. The good news is that people—customers, employees, students, parents, business owners, investors—have begun to “re-personalize” the economy using digital social sites, tools and interactions. This is the root of local businesses’ new experiential social media opportunity. Most local businesses fear and mistrust review sites because they don’t know how to interact when people review them, although social media plays to their home-court advantage. Most businesses don’t feel they can afford to pay a “social media person”; if anything, they want to reduce payroll. Local businesses tend to be high-tech laggards and don’t have I.T. departments, so they are unaware of emerging mobile technologies that they can use to magnify their local advantages. Poor employee morale and pay are stepchildren to decades-old price pressures. Many employees can’t make enough money in local businesses to make it a “real job,” so turnover is very high, and owners struggle to just keep the operation running. CSRA helps local businesses act on social business opportunities: by understanding customers and trends in new ways using social data; by interacting with customers and other stakeholders using social technologies; by transforming operations to maximize collaborative innovation and profit. To learn more, contact us. While challenges are daunting for owners and management of local businesses and their employees, pioneers can create green-field opportunities. Start by looking at your business differently. As the adjacent challenges suggest, the legacy, 20th century local business game is on the rocks, and ownership that keeps to business as usual will fall by the wayside. Local businesses’ most potent advantage over large brands and etailers is their relatively frequent face to face contact with customers. CSRA’s client work repeatedly shows that familiarity can naturally lead to “business intimacy,” but local businesses must approach relationships proactively. Face to face contact is an opportunity to develop relationship. Read Experiential Social Media and Business Intimacy, a practical guide to developing relationship and loyalty that will be very difficult for competitors to dislodge. Revisit the Power Law (the “80-20 rule”), which holds true for most businesses: 20% of your customers produce 80% of your profit. Sit down with your accountant and identify your “special customers.” Social media now enables you to learn MUCH more about them, why they buy and what they’re using your products/services for. You want to increase business intimacy with them. Big businesses can’t do this well because they don’t have frequent face to face contact. You do. Meet “the real social.” As the most social of primates, humans automatically share social information when they are together, and communication is most automatic when people don’t use mechanical interfaces, so “face to face” is the most rich—and the most unconscious. Very few people appreciate that they are exchanging valuable social data when they gossip and chatter. Since mechanical interfaces (phone, keyboards, writing) add substantial cost/effort to communication, they increase awareness while decreasing person to person communication. This is the root of local businesses’ advantage: rich social is automatic in face-to-face. Local services such as restaurants, bars, beauty salons, transport, hotels, theaters, florists and dry cleaners offer people personal services, so it is more difficult for “the Web” to displace them as it has done with product-oriented retailers. They can use experiential social media to elevate the business intimacy with customers. Start with learning who your most profitable customers are—and what situations they’re in when you add the most value to them. CSRA researched this in 2014. Dial into the growing “customer experience” trend. Large businesses’ advantage is rooted in scale and efficiency, so they are impersonal. Meanwhile, customers of most products and services are responding to personal attention and care with their wallets. 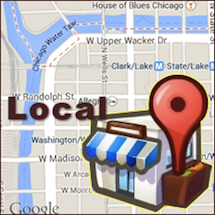 Local businesses have a huge advantage because they’re literally close to customers. CSRA launched the Chief Customer Office in 2015 that can help you come up to speed, fast. Beware of “deals” promotions. Deals vendors like GroupOn often lead to poor customer experience—and virtually always to poor employee experience. They can be useful, but in practice, most fail to produce real value to local businesses. They can hinder because they distract businesses from focusing on their most profitable customers, who by definition are a “golden niche” that provides most of the business’s profit; however, they often have specific needs. By flooding the business with a wave of new customers, deals overwhelm employees. The promotions cut the profit of the new customers. An astounding number of bad customer experience reviews involve deals. Local retailers like boutiques and shops tend to specialize in products and product selection, so they have struggled most to stay in business because larger competitors often have larger product selection and lower prices. The secret to thriving in the digital social world is to learn to “think beyond the product” and to help the customer succeed in using the product to create a personally meaningful outcome. See The Future of the Retail Store..
Large purchase facilitators such as realtors and auto dealers have a strong local angle, and they deal with high-cost purchases and assets. Although housing and transport are necessary for most people, the ways in which they satisfy their needs is quite discretionary. Realtors and auto dealers can use experiential social media to understand the outcomes of their most profitable customers (why do they need the new car or condo in the city?). They can be more relevant to “customers like them” by interacting online about outcomes, not cars or condos.